An 18 year old girl called Joy has gone missing. Another girl called Helen is a few weeks away from leaving her care home. 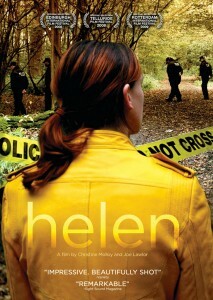 Helen is asked to 'play' Joy in a police reconstruction that will retrace Joy's last known movements. Joy had everything. A loving family, a boyfriend, a bright future. Helen, parent-less, has lived in institutions all her life and has never been close to anyone. Gradually Helen begins to immerse herself into the role, visiting the people and places that Joy knew; quietly and carefully insinuating her way into the lost girl's life. But is Helen trying to find out what happened to Joy that day, or is she searching for her own identity?